Is Sleeping Giving Me Wrinkles? Cosmetic Physician, Dr Phoebe Jones puts this question to bed! Australian's have woken up to the importance of beauty sleep, with beauty aficionados ensuring they get 8 hours of shut eye to allow cells to recuperate and regenerate for a youthful, healthy, radiant complexion. However, what many people don't realise is that their quality of beauty sleep can be compromised by the way they are sleeping, and it may in fact exacerbate wrinkle formation, Cosmetic Physician Dr Phoebe Jones reveals. "Sleep lines are caused when people sleep on their tummy or on their side with their face squished into the pillow. Over years, this repetitive pressure and friction wrinkling up the skin results in ironing the wrinkles into the skin," explains Dr Jones. "In young people who have good skin elasticity and volume in their faces the effects aren't as obvious and may resolve within an hour or two of waking. As we get older however, we experience volume loss and decreased skin elasticity so these wrinkles can become permanent," she added. 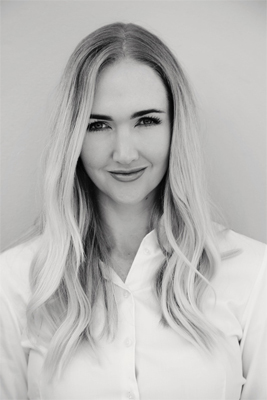 Dr Phoebe Jones is a professional, highly trained and trusted cosmetic doctor that specialises in delivering more beautiful and youthful skin through the use of injectables and laser therapy. Since graduating with a Bachelor of Medicine from The University of Sydney in 2011, Dr Jones has worked as both a clinician and a researcher. Dr Jones currently practises as Concept Cosmetic Medicine. Question: How does sleeping give us wrinkles? Dr Phoebe Jones: Sleep lines are caused when people sleep on their tummy or on their side, and their face is squished into the pillow. Over years, this repetitive pressure and friction wrinkling up the skin, results in ironing the wrinkles into the skin. In young people who have good skin elasticity and volume in their faces the effects aren't as obvious and may resolve within an hour or two of waking. As we get older, we experience volume loss and decreased skin elasticity so these wrinkles can become permanent. Question: How many hours of sleep do you suggest? Dr Phoebe Jones: On average most adults require between 7 - 9 hours sleep. Work out how many hours you feel most refreshed and energised on and make an effort to stick with that. If you fall behind on your sleep during a busy week, try to catch up on your sleep debt on the weekend. Practicing good sleep hygiene, exposure to morning sunlight, and exercise is also helpful. Question: Does what we eat directly relate to our skin health? Dr Phoebe Jones: Yes. Having a diet rich in micronutrients from fruit and veggies is essential. Make sure you include balanced amounts of good quality protein, fats and carbs. Avoiding extremes of weight is important. Avoid highly processed food and excessive refined carbs which lead to advanced glycation end products which have a detrimental effect on collagen. Question: Are there products to increase our skin elasticity as we age? Dr Phoebe Jones: Yes. Some cosmeceuticals and cosmetic treatments can helps boost collagen. Vitamin A derivatives are the best topical treatments for boosting collagen. The gold standard is prescription tretinoin. If you can't get hold of that or it is too strong for you, then look for adaptalene, retinol or retinaldehyde. Avoid retinyl palmitate because it is useless. Cosmetic treatments that can boost collagen include lasers, biostimulators and certain hyaluronic acids such as injectable moisturisers and beauty boosters. Question: How else can we prevent wrinkles? Dr Phoebe Jones: Prevention is probably the most important thing. Sunscreen, sunscreen, sunscreen. Every day without fail even if you are indoors most of the time. Look for SPF 30-50. Most of us don't put it on thickly enough anyway, so it probably ends up as a factor 15. It's also important to make sure it includes UVA coverage ingredients such as zinc oxide, titanium dioxide, helioplex or avabenzone. UVA rays are what causes ageing of the skin. UVB rays are what leads to sunburn. Most chemical sunscreens really only address the UVB rays, so you need to look for the other ingredients if you want to prevent photo ageing. Ideally you should also reapply during the day because chemical sunscreens in particular break down within a few hours. Other prevention strategies include good moisturising, antioxidants and topical/chemical exfoliation. But these are less important than sunscreen. Question: What are your top tips for wrinkle-free beauty sleep? 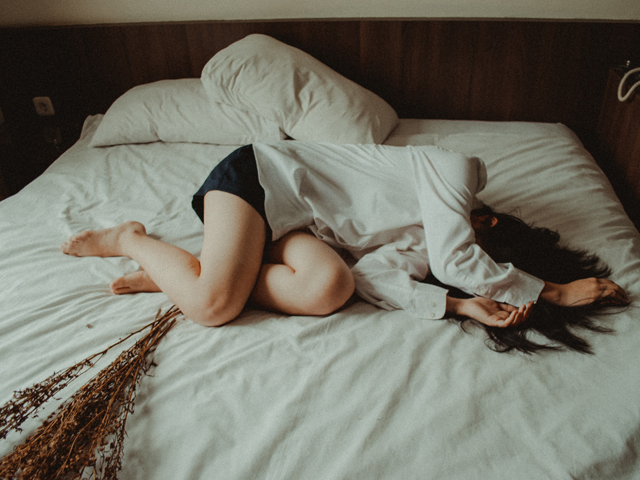 Dr Phoebe Jones: Learn to sleep on your back: "For those side sleepers, learning to sleep on your back can be quite difficult but some people are able to learn to retrain themselves. There are a few back-sleeping pillows that you can buy that cradle the head and prevent you from turning to your side. For some people, placing a pillow under the knees as well can make back sleeping more comfortable as it puts the hip flexors in a more relaxed position and also prevents you from rolling to the side while asleep," said Dr Jones. Upgrade your pillowcase: Dr Jones says "If sleeping on your back is just not a possibility, you can still prevent those pillowcase-induced wrinkle lines by upgrading from a cotton pillowcase to silk. The slippery surface of silk pillowcases causes less friction between your face and the pillowcase, helping to stop the bunching of the fabric that causes the deep creases." Lather on a night cream: Dr Jones stresses the importance of taking care of your skin with good quality skincare products. "I recommend a product that contains hyaluronic acid to help plump and firm the skin and/or retinol as the Vitamin A derivate stimulates collagen to prevent fine lines. Using appropriate cosmeceuticals to provide the skin its moisture during sleep is essential to keep wrinkles at bay." Use silicon sheets: "Silicon sheeting is genius for sleep lines. Despite them not been the most attractive thing to wear to bed they certainly work their magic! Personally, I quite like the ones for the décolletage, forehead and eye areas. If you don't want to use them all the time, you can just use them in the week leading up to an event and they will give a softening effect to fine lines," said Dr Jones. Consider laser therapy & hyaluronic acid injectables: "If you are looking to improve the state of lines that have formed from years spent sleeping on your side then laser therapy or injectables are the most effective methods. Both fraxel and other CO2 lasers can be good to help rid yourself of lines and improve the general skin quality by boosting collagen production while hyaluronic acid injectables also revolumise specific areas," said Dr Jones.